*29cm of fresh snow has fallen in the last 24hrs in Hirafu Village. At 7:00 today the temperature was -4°C. 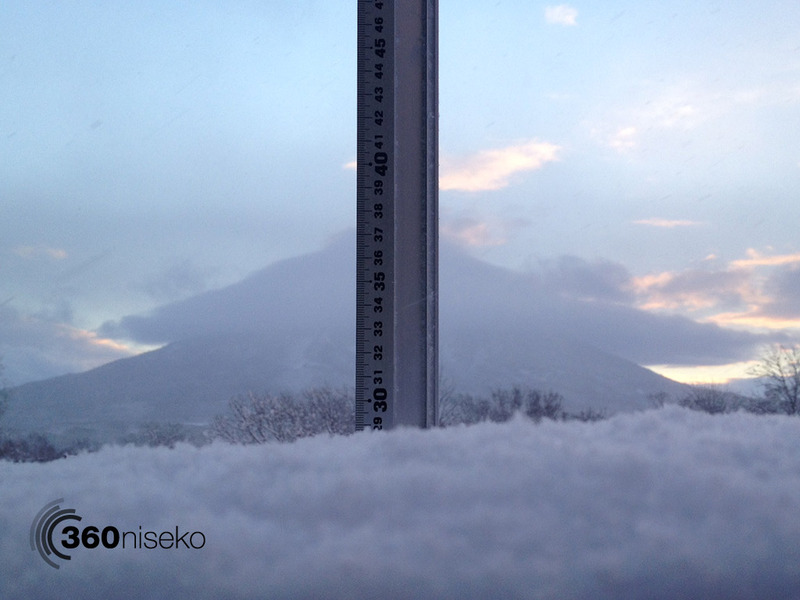 After 24 hours of solid snowfall Niseko has once again delivered! Tomorrow’s opening day at Mt Niseko Grand Hirafu Resort will be fantastic! Snowfall is expected to continue throughout the coming week! On target for my 120cm by the weekend ! Definitely lots of snow around town now and i bet a lot more higher up on the mountain! Hi Zac, We will try and get you some more shots later today! I hope the lifts opening this weekend. Is there any confirmation they are opening this w/end? Hi Liem, Niseko Annupuri will NOT be opening tomorrow as expected. The resort has not set an opening day yet but will will let you know as soon as we hear any news. Grand Hirafu will be running the Ace # 2 Center 4 lift and the Ace #3 lift. The bad news is that skiing and boarding will only be permitted on the Center course which means downloading will be enforced from the top of the Ace #2 center 4 lift. No top to bottom runs tomorrow by the looks of it. I will be at the Niseko village from 3-8 so hopefully all the lifts will be operating by then. any news on the Niseko Village gondola/lifts? Hi Liem – no news yet as to when the other resorts will open but will let you know as soon as we hear!